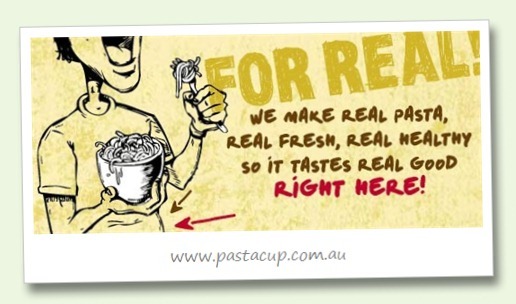 Fresh pasta takeaway: PastaCup launches! We’re especially happy when we can help local businesses that we are customers of ourselves. That’s the case with fresh pasta restaurant PastaCup, which is the re-branded version of our very favourite eatery in North Perth. The Starfish team have been eating there for over 2 years now, so we can attest that everything they say on their new web site is true – it’s all fresh and it really does taste real good! The launch of the PastaCup web site coincides with the opening of the new take-away only Melville PastaCup store. For this project, we worked with branding and advertising agency The Globe, who worked not only on the logo and web site design but also branding for the entire store concept.